This truly is a cuddly Cheeky. 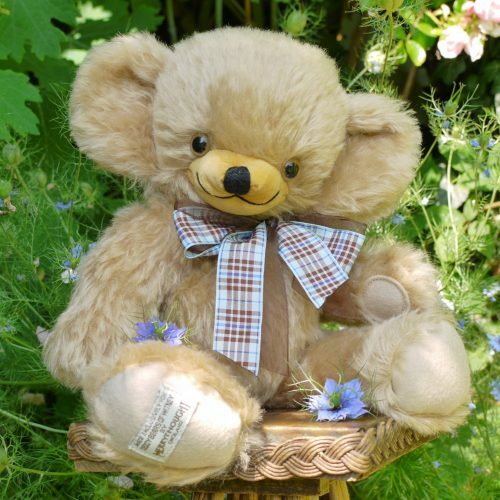 Inspired by Witney Cheeky Bean, the first-ever Cheeky exclusively made for Teddy Bears of Witney (in 1995), he is softly pellet filled in his arms and legs as well as body. He has light brown and black safety eyes, a velveteen muzzle and felt paw pads.